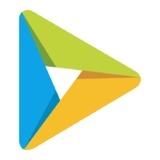 Download You TV Player app for android. You TV Player is amazing and special application, which enables you to watch tv and quality movies live and free. The online tv series that can be seen within the application is that you can find in the menu. Just follow the directions to enjoy them, with new ones added on a daily basis. You TV Player could be a film player for android, which with the right configuration, enable us to stream tons of films and movie premieres. When you open the app for the first time it provides you with a tour of the menu to facilitate its use. If videos are not present on your phone, everything can seem blank. Thanks to You TV Player you gain access to thousands of online TV channels with live streaming. The developer has managed to sort them in a great way, from tv series, news, sports to movies, culture, music and child's contents. With this neat app you are able to watch the best TV channels in the world from Fox to HBO. If you are fan of TV series like Game of Thrones, House of Cards, or Narcos, or sports fan with desire to watch Champions League, soccer, football, tennis or other sport You TV Player is the app for you. It has some of the best channels from spanish speaking countries like Colombia, Chile, Mexico, Spain, Venezuela which you can filter to find the best for you. As a player the app allows you to watch video files in multiple formats: AVI, 3GP, FLV, M4V, MOV, MP4, WMV, RMVB, MKV, TS, MPG. You are also able to videos to your TV by Android Chromecast. Social features are available by creating a profile. You can have contacts, friends with the options to chat and recommend content. In sort it is one of the best multimedia and video players with options for streaming tv on Android. More information you can read on You TV Player's website. What is You TV Player? You can browse media content about You TV Player on Pinterest, where great images are added every day. Watch how to install and use You TV Player videos on YouTube. You can also look for You TV Player app on Amazon Appstore.